Is there any satisfactory method for assessing the true cost of a human life? 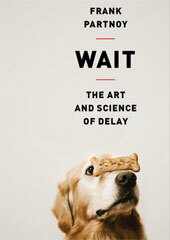 Purchase Wait: The Art and Science of Delay on Amazon.com. Even if we assume a human life today is worth between $7 million to $9 million, what should a future life be worth? How much should we pay today to prevent an event that would result in the loss of ten billion human lives in 500 years? Over the years researchers have reached a consensus that a value of $1.5 million is much too low. When legislators and regulators enact new rules, they are supposed to weigh benefits versus costs. They have to answer seemingly banal questions such as: Should all lighters be childproof? Should food labeling be more detailed? Should airlines carry survival equipment for inadvertent water landings? Should cars and factories reduce carbon emissions? Government officials are supposed to put numbers on the pros and cons of these questions. <!-strCallout1->Technical as it sounds, what underlies all these questions is a question that is far from just technical. It is, in fact, a profoundly ethical issue. How to assess the value of a human life in financial terms? Only then can the cost-benefit question really be answered as to how much money we should be willing to spend to save a person from dying. And only then can the ever trickier, more hair-raising question of how much does it matter that the life will be saved be answered. Every day, regulators answer such seemingly unanswerable philosophical questions, and in the United States and an ever larger number of other countries, they do it in ways that budget officials readily understand: They come up with a number. Today, the U.S. Office of Management and Budget puts the value of a human life in the range of $7 million to $9 million. Why these particular numbers — and not, say, 42? A crucial part of the answer is that clever economists estimate the value of a human life based on the choices we make about risky behavior: smoking cigarettes, driving a car, eating undercooked meat or working a risky job. As Adam Smith noted centuries ago, people’s wages reflect a tradeoff regarding “the ease or hardship, the cleanliness or dirtiness, the honorableness or dishonorableness of the employment.” The forefather of modern economics aside, there have been more than a hundred studies that attempt to determine the value of a human life based on the value we place on our lives in private decisions. One way to calculate the value of a human life is to look at how much more money a worker earns for doing a risky job. Suppose working in a coal mine pays $10,000 a year more than working a safer desk job, and that coal miners have a 1% greater chance of dying on the job. Some economists would conclude that this trade-off suggests people value a human life at $1 million. They assume the increased cost of working as a coal miner (which, on average, is $1 million multiplied by 1%, or $10,000) is reflected in increased pay. <!-strCallout2->Another method is based on our behavior. How much will we pay for safety features such as bicycle helmets or antilock brakes? When we have the choice to drive faster, even at an increased risk of death, how much faster do we go? In 1987, when the U.S. government permitted states to raise the speed limit from 55 to 65 miles per hour, many states did so, and drivers saved time by driving about two miles per hour faster on average. However, fatality rates rose by about one-third. Overall, people in the United States saved about 125,000 hours of driving per lost life. At average wages, the trade-off between the time savings and the increased risk of fatalities suggested that state decision-makers were putting the value of a human life at about $1.5 million. Today, the United Kingdom is considering increasing the maximum speed on its motorways from 70 to 80 miles per hour. That change would lead to more deaths and, by doing so, would illuminate the question of how much regulators there think human life is now worth. All of these studies have various problems and biases. And it is highly controversial to use them to calculate the specific value of an individual life. They are generalizations. Questions abound: For example, should we assume the lives of terminally ill elderly people have the same value as the lives of healthy toddlers? Should we ask medical experts to adjust our assessment of a life’s value based on its quality or the probability of death? There is no perfect methodology, but over the years researchers have reached a consensus that $1.5 million is much too low. Kip Viscusi, a professor at Vanderbilt University, and other prominent economists have persuaded regulators in the United States to increase their assumed values — and they have done so. As of 2011, the Environmental Protection Agency set the value of a human life at $9.1 million. Meanwhile, the Food and Drug Administration put it at $7.9 million — and the Department of Transportation figure was around $6 million. Are any of these the right answer? <!-strCallout3->The question gets even tougher. Even if we assume a human life today is worth between $7 million to $9 million, what should a future life be worth? If a policy choice puts future generations at risk, how should we proceed? If a human life is worth $8 million, how much should we pay today to prevent an event that would result in the loss of ten billion human lives in 500 years? If we use a 7% discount rate, that number is shockingly small: $162.63. If we use a low discount rate, the number would be so big that it would have too many zeros to fit on this page. Editor’s note: This article is adapted from Wait: The Art and Science of Delay (PublicAffairs) by Frank Partnoy. Published by arrangement with PublicAffairs. Copyright © 2012 by Frank Partnoy. 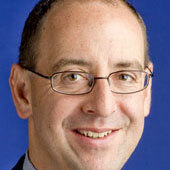 Frank Partnoy is director of the Center for Corporate and Securities Law at the University of San Diego.